Your website is very informative and easy to navigate. Thanks for your affords! 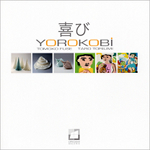 One notification - it seems that the title of the book is "Yorokobi". But you have "YarIkobi". Does it mean anything or just a mistake? Thank you for the correction, must have been a typo! "Yorokobi" means "Joy", I believe.